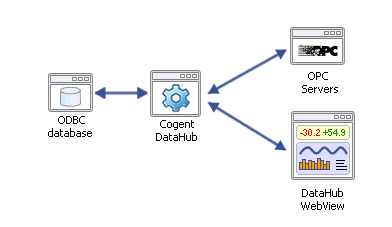 The Cogent DataHub has always had the ability to query a database using the built-in Gamma scripting language. 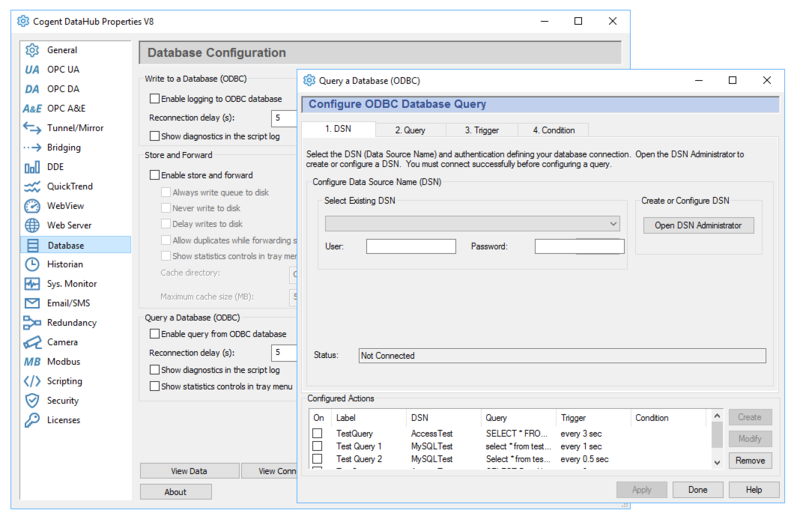 Now, the DataHub’s Database Read feature includes an intuitive point and click interface for configuring queries and handling the data set returned by the database. The results of your database query can be stored in the DataHub either as a list of individual point values or as a single point that contains the full set of rows returned by the database. This allows the query results to be displayed in various WebView controls which use single point bindings or display the full result set in a tabular format. See the video links above for more details. And of course, you can also use the query results as input values sent to an OPC server (or any other DataHub client program). More features of the database query facility. Easily set up database query actions in the DataHub using a simple point and click interface. Start and stop the query action for different data points based on fully customizable trigger events. Create as many query events as you need and have each one trigger on a different event. Database queries can be triggered on a repeat timer, at a specific time of day, on a data point value change, after a countdown timer has completed, or they can be triggered as needed by a script command from within DataHub WebView. Query data from a database on the same computer, or on another network computer. Combine data from multiple database sources and have them appear as a single unified data set within the DataHub. Read more about Query a Database.